How did you spend your first official day of college? 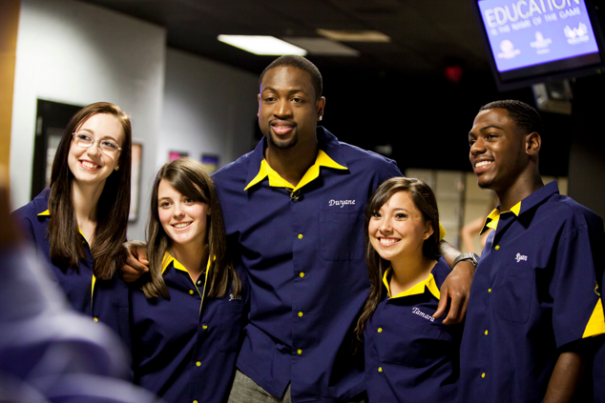 Marquette freshman Jessica Mader spent it bowling with Miami HEAT and former Marquette basketball star Dwyane Wade. Mader (with Wade in the first and second pictures) is the latest Boys & Girls Clubs of America Youth of the Year honoree to receive a four-year, full-tuition scholarship to attend Marquette through a national partnership with BGCA. Wearing a blue and gold bowling shirt, Wade joined Mader and other BGCA Youth of Year recipients for a game at the Union Sports Annex on Aug. 29. 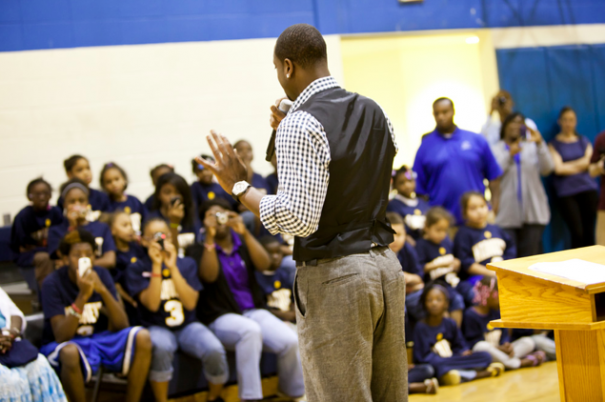 Wade, through the Wadeâ€™s World Foundation, provides support to community-based organizations that promote education, health and social skills for children in at-risk situations, and he has served as a champion and spokesperson for the Youth of the Year scholarship program since its inception in 2009. While in town, Wade also visited with students from the Pieper-Hillside Boys & Girls Club, which is led by former Marquette basketball player Robert Jackson. 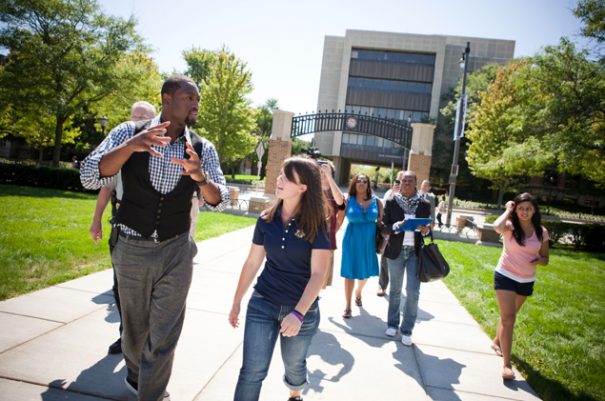 Learn more about Marquette’s partnership with BGCA and the Urban Scholars program, which includes 10 full-tuition awards to promising students from academically disadvantaged backgrounds.